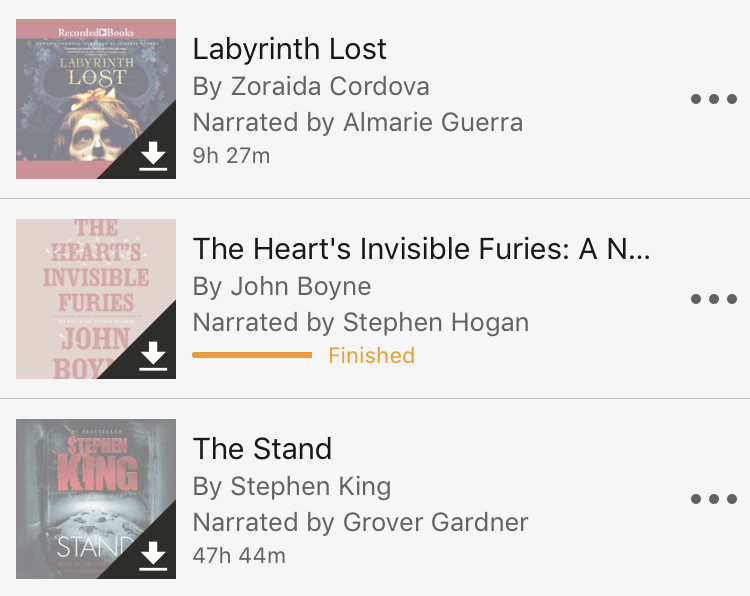 So back in August I made a post listing all of the audiobooks I owned and have yet to get to for one reason or another. 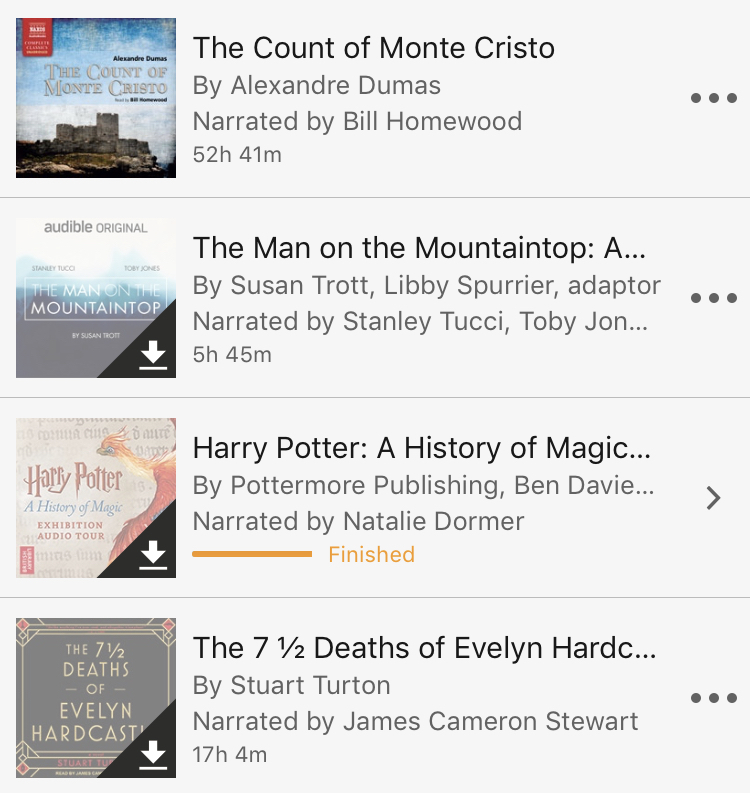 If you want to check it out, you can find it here: Lists | Un-listened to Audiobooks. Well, since it has been a few months I wanted to update you on my progress. I will openly admit I have acquired more since August, it has been nearly 5 months, but I have also listened to quite a bit more since then as well. I am hoping it will kind of even out, fingers crossed! Which one should I read first? Hello all! Today I wanted to talk about my latest update with my ______ Picks My Books Series. In this blog post I will talk about my experiences with the books Amy picked for me in my first Book Buddy Picks My Books, I promise Jenna and Reg I am slowly making my way through your books too! Also, if you would like to pick out my next books I have a few details at the bottom of this post. Without more of a delay, here we go! 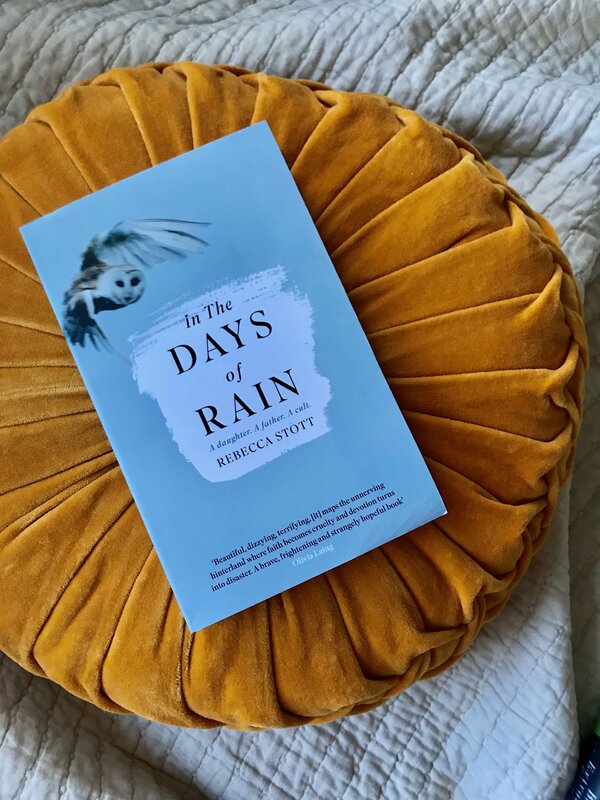 The first book I read was In the Days of Rain, a memoir of a family. I read through this book quickly, I was really interested in the story of this family and how they came to be prominent members of a cult through generations to then leaving and dealing with that. I also enjoyed the psychological implications that this book exposed me too through the authors own father. I felt it was interesting his feelings towards religion following the family leaving. 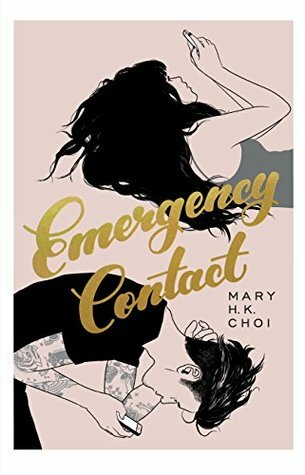 I also loved how the author explored her own feelings and you can see her own feelings and how it affected her life in many ways, even in how she breaks up the novel. The Second book I just finished buddy reading and I have to admit I read it a lot faster than I was meant to. 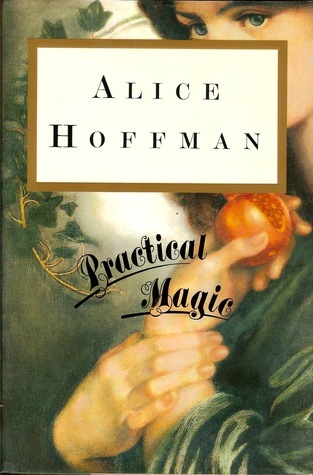 I really enjoyed reading this magical realism novel. It was just the right about of magic and done in a ways that made it seem like it could happen in the real world. 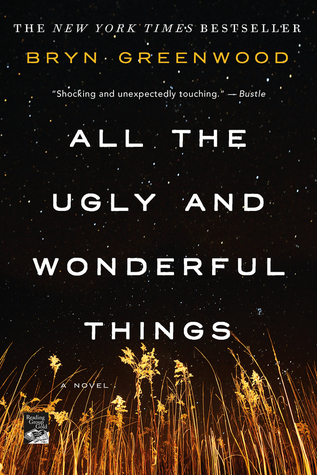 The main character and the supporting characters were well written and man was there one part where I got really mad, but the ending of the book made me feel a bit better about it. Additionally, the authors style was lovely as well. I highly recommend it if you are looking for something in the genre. Overall, you can see that I really ended up enjoying the books Amy picked out for me and I kinda expected it because out reading tastes are so similar. I just want to say thank you Amy for picking such wonderful books for me to read! Also, If you would like to pick out my next or future reads please leave a comment down below saying you are interested and the your top two genres of books to read. Once again I am here with an update to my Read 5, Buy 1 challenge, you can find the original post here: Lets Talk | My Read 5, Buy 1 Challenge. I am still doing very well and I am very happy with my progress. This update I did find a bit of a loophole for my 5th book, but I am not mad about it since I still have removed 5 books from my TBR. Read 5, Buy 1 Update! Description: When the beautiful and precocious sisters Sally and Gillian Owens are orphaned at a young age, they are taken to a small Massachusetts town to be raised by their eccentric aunts, who happen to dwell in the darkest, eeriest house in town. 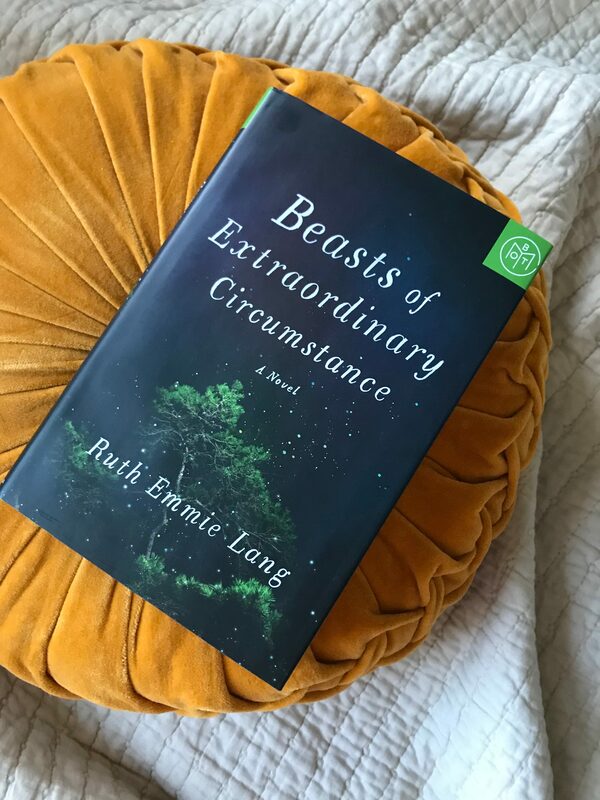 As they become more aware of their aunts’ mysterious and sometimes frightening powers — and as their own powers begin to surface — the sisters grow determined to escape their strange upbringing by blending into “normal” society. I had to pick up this book when I saw it was on sale. I have loved the movie that is loosely based upon this novel since I was a young child and I have been curious about the book since I found out it was a book. I am curious to see if I end up liking this book. I hear either people are loving it or they end up really not liking it. This books seems like there is no middle ground. What was the most recent book you have acquired? So not that long ago I shared my Lets Talk | My Read 5, Buy 1 Challenge and I wanted to update you guys on the progress. While you can see my reading habits from A Week in Review posts, but I don’t really posts hauls anymore because I don’t buy many books. So I figured this is my haul of sorts. Most recent Read 5, Buy 1! Now, to figure out what book to buy. Any suggestions? I have been in a mood for a fast paced cute new adult book. While I said I was in the mood for a new adult book, I ended up opting for a very different type of book. 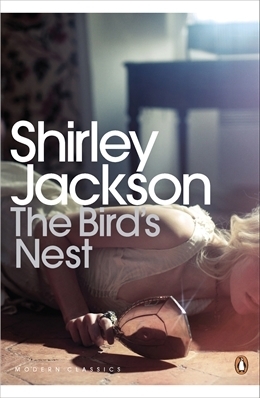 This year I have found a new author I have been loving and that is Shirley Jackson. Since reading A Haunting at Hill House I have been wanting more, so I ended up getting The Bird’s Nest. While this content is something in the description alone has me interested, I know there will be more to the story. Jackson has a way of creating an atmosphere of creating a world that just makes you feel as the characters, so I am very excited. Having read a another book of hers and knowing how that book ended up playing out so differently than I thought my imagination is going all over the place with the possibilities. I am very happy with my choice. So, the last few months I have had a series called “_______ Picks My Books”. This has been such a huge adventure for me. If you want to take a peak into my adventure you can read the posts in this series here: Haul | Boyfriend Picks My Books , Haul | Bookseller Picks My Books and Haul | Book Buddy Picks My Books. I have been sharing my hauls from this series with you, but I never really shared the aftermath of the hauls so I though it would be fun to share what has happened since the books have been added to my shelves. In this post I am only going to be focusing on the first two of the series since I have had time to get to them. I am about to pick up one of the books from Book Buddy Picks My Books, I swear Amy! Anyway, without more of a delay here we go! In this haul my boyfriend picked out three books for me. 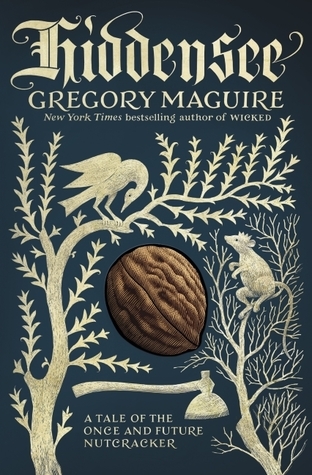 The First Pick By Gaslight by Steven Price, the second pick was Death Note by Tsugumi Ohba, and the last one was Hiddensee by Gregory Maguire. 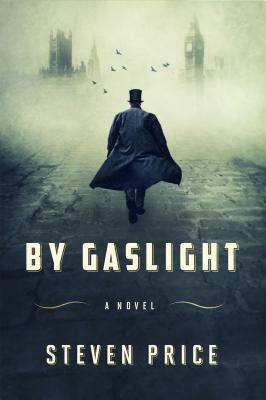 By Gaslight was featured in my post Let’s Talk | Try a Chapter April 2018. To focus on By Gaslight, I ended up unhauling this book. For me I was more into the idea of the book than the writing style. The writing style made it difficult for me to get into and I did not want to push through a 700 page book to see if I would like the story. The main issue I had was that it was difficult to tell if the person was having internal or external dialogue. Hiddensee had much the same issue for me. I really like the idea of the book, but the writing style was not for me. 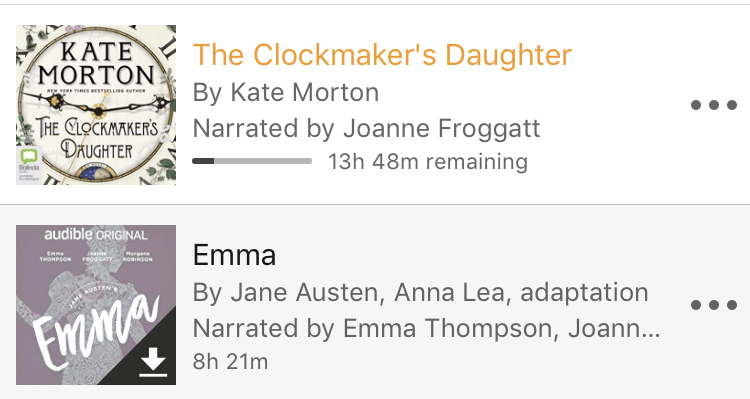 I may in the future try the audiobook version, but who knows what will happen. 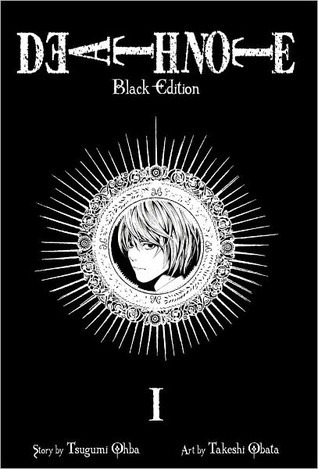 The last book my boyfriend picked for me was Deathnote… I LOVED THIS! I am still in the process of reading this series, but I am loving it I am currently on Volume 4. This was a total win for him. Overall, while I did not like a majority of this haul I count it as a success because I found a series I really like. In this haul the bookseller picked Everything, Everything by Nicola Yoon and The Pillars of the Earth by Ken Follett. This experiment was a bit harder for me since I was asking a stranger who has no idea who I was and what my reading tastes were. So I was anxious as to how this would unfold. 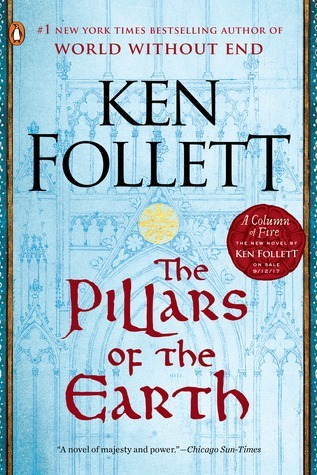 The first book that she picked recommended to me was The Pillars of the Earth by Ken Follett. 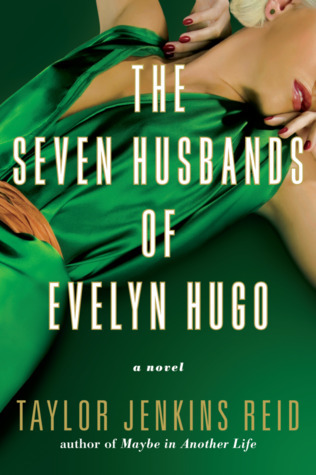 Now, if you follow me on goodreads you will see I am currently about 200 pages into this book. I have to admit this book is HUGE, but I am really liking it. The writing style is perfect and I love how there are so many intertwined stories. I even picked up the second book in the series because I knew I would want to continue. This was a total win. The second book was a YA book I have been hearing about for years, but I never picked up for one reason or another. 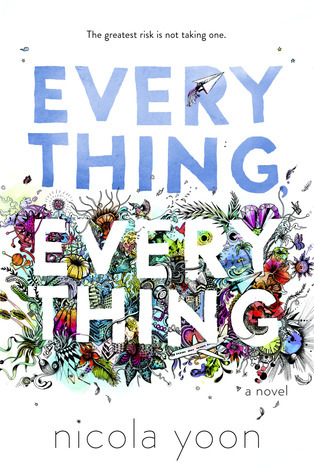 Everything, Everything was featured in my post WRAP UP | March 2018. Overall, I really liked it. While I can understand why some people have problems with it, I wont say more because…spoilers! But, I read it quickly, a single day in fact. So this was another win for this awesome bookseller. This series has been so much fun and I am looking forward to doing more of then. I have gotten out of my book comfort zone and I have found some real gems. I also want to thank-you guys for enjoying them too. Anyway, let me know what you thought about this little revisit.